Trust a Consultant with 25 Years of Construction Experience! For a complete visual examination of your home, call True Perspective Home Consultants, Inc.
Asbestos can increase your risk of lung disease and other ailments. Make sure your home is safe from asbestos with our test. Mold is a common yet dangerous problem for homeowners. Schedule your mold inspection in the Vail, CO area. The air in your home should be safe for your family to breathe. For professional indoor air quality testing, call us today. Most sellers won't let you to grind out a sample of their house's paint to ensure there is no lead poison on the property. That used to be the only way to test for lead-based paint. Before, it was a gamble, but now you can be rest assured: we can test the paint without a sample! True Perspective Home Consultants use the latest high-tech lead paint analyzer XRF gun to test lead in paint with just a point and click! True Perspective Home Consultants, Inc. is not just a full-service home inspection company. Backed by 25 years in the home construction industry, True Perspective Home Consultants was created to offer a higher level of service and convenience to the real estate agents, builders, and homeowners of Colorado. 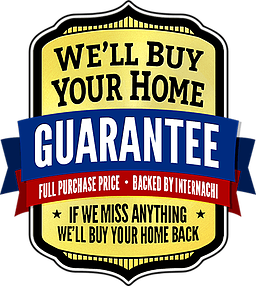 True Perspective Home Consultants completes quality pre-listing or pre-purchase inspections in the Vail, Avon, Silverthorne, Beaver Creek, Eagle, Gypsum and Edwards, Colorado areas. Backed by over 25 years of experience in the construction field, our lead inspector and consultant conducts thorough visual examinations for our clients’ peace of mind. True Perspective Home Consultants, Inc. also conducts mold, asbestos and radon testing. We stand above the competition because of our commitment to acting as your personal consultant, not just another home inspector. Whatever you need, True Perspective Home Consultants is here for you. Call us today to schedule your inspection or testing service. We service Vail, Avon, Eagle, Silverthorne and Gypsum, Colorado! From mold testing in Edwards to pre-purchase home inspections in Vail, we protect families across the area from unforeseen home problems. 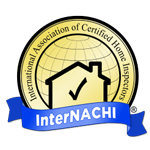 True Perspective Home Consultants, Inc. is an InterNACHI-certified home inspection company. We continue to serve our clients well beyond the initial inspection to ensure their satisfaction. Schedule a visit with a trusted home inspector and consultant in Vail or Silverthorne, CO today.